As I mentioned at the end of April, the highly sought after Hauppauge HD-PVRs were delayed to Mid-May at best. The delay was due to production delays on the plastic cases for the HD-PVRs. An administrator on the SageTV forums is reporting that the first set of Hauppauge HD-PVRs arrived at Hauppauge this Monday with their plastic cases. Qualification testing is underway at Hauppauge and the first set of pre-orders should be delivered once testing is complete. Note that nobody has said how many of these units have arrived at Hauppauge so Its possible that not all pre-orders will be shipped if there aren't enough units there yet. Estimated ship date for the first of these units will be next week (May 27th - 30th) sometime. I'm anxious to see how these component video recorders perform on SageTV and Beyond TV, both of which have betas running with HD-PVR support built-in. I'll have a post in the next day or so with all of the facts I could gather on these devices so stay tuned. 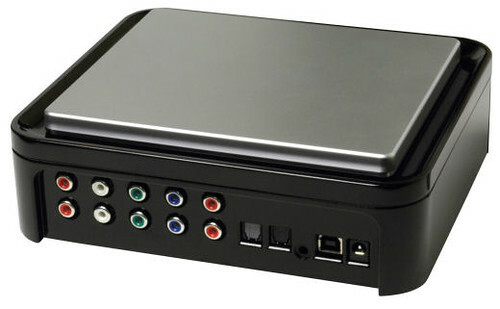 If you have any questions about the HD-PVR let me know in the comments and I'll do my best to find out and answer your questions in my next HD-PVR post.